We are very saddened to hear of the death of Dudley Kipping at the age of 87. 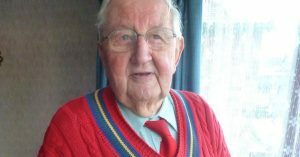 Dudley, a Trust Legacy Member, was also one of the first to sign up with a generous contribution to the Community Share Scheme in 2015. He used to pop into the Caledonian Suite before each home match for a sit down, along with his daughter, and regulars there will surely recognise him. Our sincere condolences go out to his family and friends.